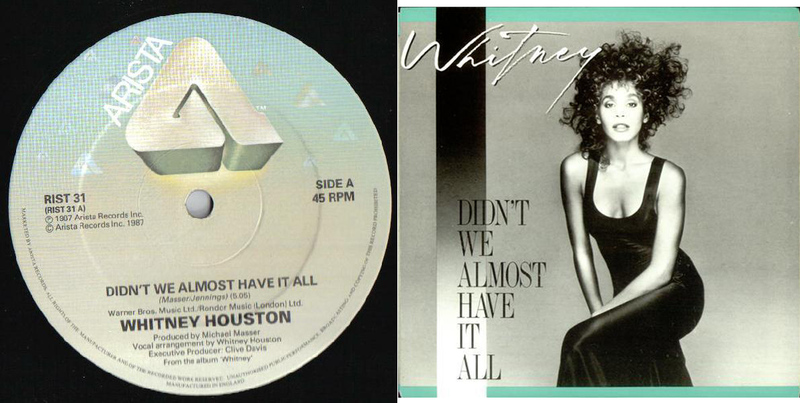 Whitney Houston, “Didn’t We Almost Have It All” (released August 1987) Single 45rpm, from 2nd Whitney album (not exactly a favorite), June 4, 2015. (combined/cropped by Donald Earl Collins; http://musicstack.com and http://rapgenius.com). I’ve been thinking about this for nearly a year. It started for me last August. Melissa Harris-Perry had a segment on her MSNBC show regarding the multiple hats women of color have worn over the years in taking care of their families, immediate, extended and non-biological. In response to Anne-Marie Slaughter’s July/August 2012 piece in The Atlantic about “Why Women Still Can’t Have It All,” Harris-Perry and her guests made the point that feminism for women of color has been about far more than having a successful, sexist-free career. That throughout American history, women of color have found themselves wearing multiple hats as primary breadwinners, primary caretakers and primary childrearers, often in ways that traditional feminists don’t discuss or recognize. All without fanfare and with many setback along the way. What I’ve witnessed and been a part of in my own life reflects much of the conversation that Harris-Perry led on her show. The physical, mental and psychological scars from caring for family, friends and children, while struggling financially and dealing with racism and misogyny often manifests in disease and depression for so many women of color. There’s so much more, though, in terms of how my own mother’s multiple hats and habits led me to so many of my own. All initially to help her, but in the end, helping myself become self-sufficient. Not to mention making myself more understanding of where all the wear, tear and lack of care that wearing so much for so long can lead. The Anne-Marie Slaughter image of multitasking/wearing multiple hats (just think what this is like for poor, low-income, women of color), February 4, 2015. (ALAMY; http://telegraph.co.uk). Before I turned thirteen years old, my mother had been far more than my Mom. She’d been a dietary supervisor at Mount Vernon Hospital, just outside New York City, since 1968, the year before I was born. She had been a high school basketball player, a caregiver to her eleven brothers and sisters, and a cotton-picking breadwinner for her family in segregated southwestern Arkansas, an area located in the Red River Valley, part of the larger Mississippi Delta region. She had become our family’s primary breadwinner in the years after she gave birth to my older brother and me. Not to mention a married young woman now living a thirty-minute train ride from Midtown Manhattan, between the Hudson and Hutchinson Rivers, on the border between affluent Westchester County and the Bronx. Life didn’t treat my Mom too kindly once she married my alcoholic father in 1971. And it actually went from bad to worse as she divorced him for my stepfather in 1978. By then, she had become a cigarette smoker, a one-time adulterer, and an abuse survivor. My Mom did everything she could to shield my older brother and me from her habits and the realities of our tough life in Mount Vernon in the 1970s and early 1980s. But by the end 1982, as I turned thirteen, all the hats my Mom had worn began to fall to the ground. In taking on the role of a strikebreaker, all of our lives would change forever. In response to concessions made to the union, who left her unprotected, Mount Vernon Hospital cut her from full-time to part-time. My Mom became the besieged one. She was the old woman in the shoe, with six kids — including four under the age of five — and a cheating, abusive, unemployed, sometimes-at-home husband. It was my Mom’s job to take care of us all. Yet no longer was she a breadwinner. My Mom had become one of Reagan’s alleged welfare queens, pulling in $16,600 in AFDC payments per year from April 1983 until I left for college in August 1987. 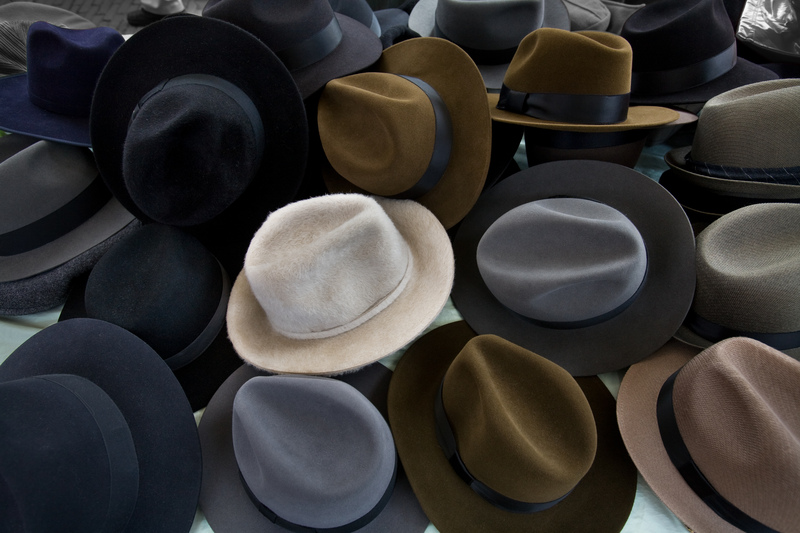 With all of that, I became a hat juggler myself. For a while during my teenage years, my Mom had been my friend, one in which I could usually confide, albeit out of anger and frustration. All while taking on more and more of what had been her duties, including the brunt of her second husband’s rage and fists. I’d become an everyday grocery shopper, a frequent family cook, and a sometimes provider, the last mostly through tracking down my own father for a few extra dollars every Friday or Saturday at one of his favorite bars. Or, by the time I was sixteen, through working part-time. I provided childcare on afternoons, evenings and weekends. I washed clothes with my older brother on Saturdays or Sundays every week without fail from October 1982 on. Hat stall at a Sunday fair, Amsterdam, The Netherlands, August 31, 2008. (Jorgeroyan via Wikipedia). Released to public domain via CC BY-SA 3.0. By the end of high school, I realized too who my Mom wasn’t, maybe for the first time. She wasn’t an encourager, a person who pushed her kids to pursue their dreams. With so many “Are you sure…?” questions my last two years of high school, it’s a wonder I applied to any colleges at all. Mom wasn’t a nurturer either, especially after I became a teenager. My Mom had only said “I love you” to me two times between my twelfth and nineteenth birthdays, including at my high school graduation ceremony in June 1987. She also wasn’t easygoing. Any mistake with money or my time would get a “Serves you right…” sermon about never screwing up. All of this has made my Mom a conservatively cautious perfectionist, one living with depression and in constant denial about our shared past. I guess that it was all too much for her, like reaching the Jordan River, but not being allowed to cross it. Our shared experiences had also made me cautious and perfectionistic in my dealings with myself and the world, as I had to wear so many of my Mom’s hats and cross so many of those rivers with her. My mother tried to be all things to me and my older brother especially, and failed more than she succeeded in the process. For that and so many other reasons, despite her mistakes, I love her very much. It’s been more than twenty-seven years since I moved away for the greener pastures of the University of Pittsburgh. Yet it’s only been in the past decade that I’ve learned to stop striving for perfection in all the things I say and do. It ultimately takes a lifetime to unlearn all the bad habits and prejudices and give up on juggling all the ideas and roles that our parents have put on us. My journey with and without my Mom has been no different. Now that my Mom’s in her late sixties, I just hope that the only hat she tries to wear these days is one to keep her head warm on the coldest of days.